Trasolini Pools Ltd has been making “your place in the sun” since 1983. 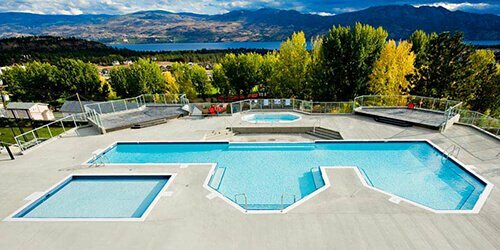 For nearly a quarter of a century, Trasolini Pool Ltd has been crafting the finest in award-winning, custom-designed, custom-made in ground Gunite pools in the Vancouver, BC region. Custom Gunite swimming pools are just a part of what we can do to transform your backyard into your very own personal resort. In addition to luxurious residential pools, Trasolini Pools Ltd also provides a host of other services. 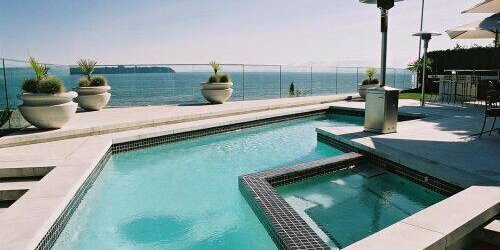 We can provide you with hot tubs, swirl-pools, whirlpools, swim spas, and lap pools, all built to the degree of quality that is the hallmark of Trasolini Pools Ltd. We are also experienced in the design and construction of efficient, profitable, commercial swimming pools. Trasolini Pools Ltd doesn’t stop at simply building your new dream pool or water feature. We also provide pool consultation, Shotcrete and Gunite work, pool plastering and re-plastering, and all manner of pool repairs. If the time has come to make your dream of a luxurious backyard resort a reality, contact us. Sooner than you think, you too may be the proud owner of a work of art by Trasolini Pools Ltd.